We are absolutely delighted to invite you to a meeting with the author of Chips and Sausage: A Guide to Ireland and Her Wonders. Daniel Zuchowski is a linguist, language consultant and trainer. His first book, The New Dubliners, was described by the Dublin Book Festival as “an exciting new experiment and a fascinating read,” and by The Irish Times as “an important book by a writer perfectly tuned into the experiences of the new Irish.” His second book is a very affectionate look at the island of Ireland – a guide full of humour, warmth and love. 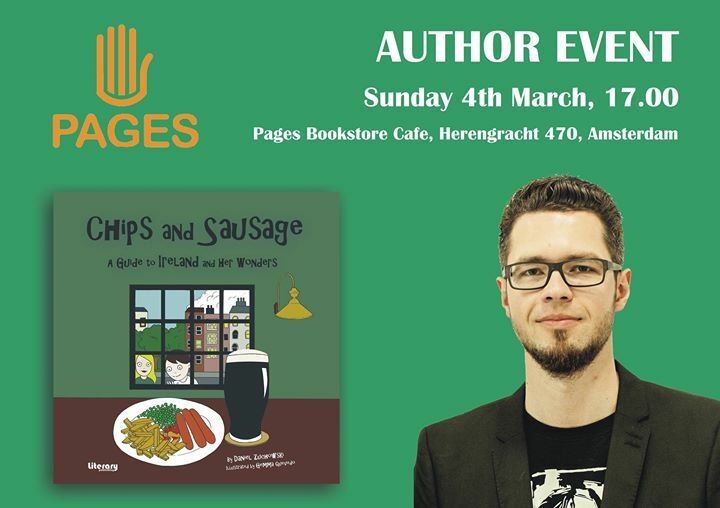 And Daniel will visit Pages Amsterdam to tell you all about it, about Ireland, and about any other topic that you might be interested in discussing. This event is free, and there will be a special discount on the book.